I do not have much to say about Diamond Dog except that I love it and reach for it frequently. If you like cool brown and lots of shimmer, go treat yourself. Last spring I picked this up on a whim from the employee store at the L'Oreal Headquarters. 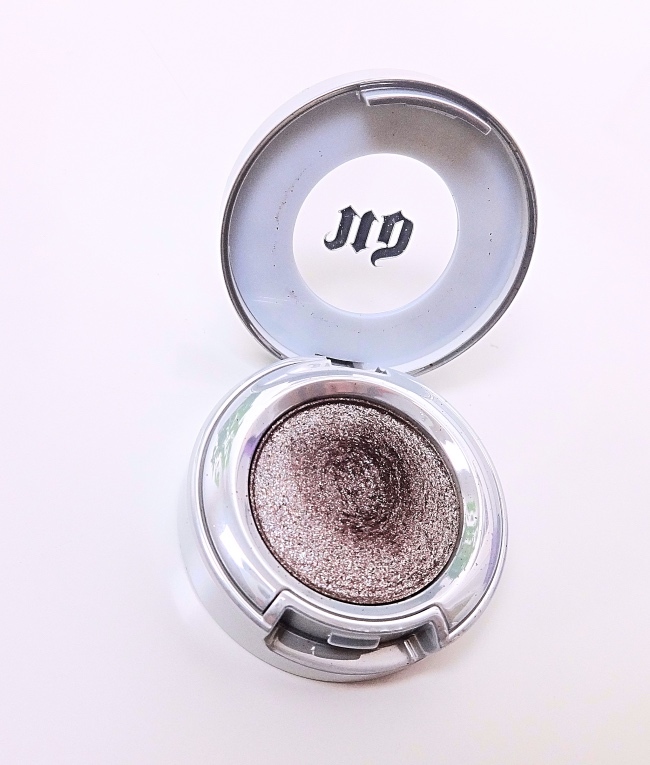 I did not expect too much from it because I was not partial to Urban Decay's offerings. However, Diamond Dog exceeded my expectation and quickly became one of my favorites. I would say Diamond Dog is nice quality - pigmented and easy to blend. It is an exceptionally well-balanced shade, too. The cool brown base with a purple tinge grounds the eyeshadow which otherwise would be frivolous because of the bold shimmer. Or rather, the shimmer makes this neutral shade interesting and unique. Diamond Dog is incredibly easy to wear. I have created this look using Diamond Dog only. 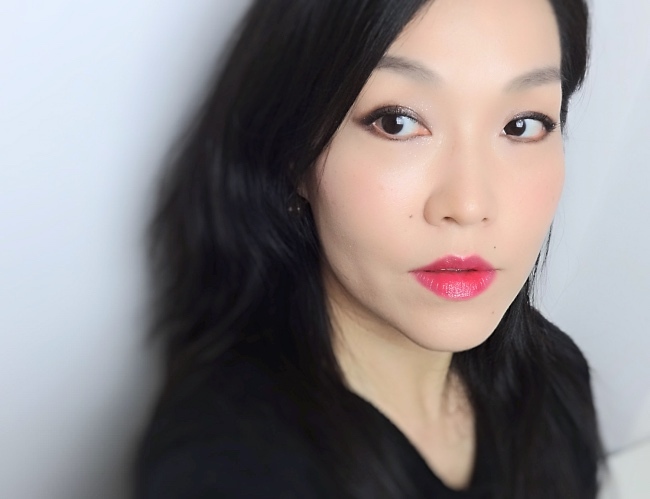 After putting on a nice eyeshadow primer like Urban Decay Primer Potion (I use the Anti-Aging version as it is not so drying as the original one), I just pack the color on the lid space using a dense synthetic brush and smooth it out with a clean blending brush. Add some eyeliner and mascara, you are good to go. This defines the eyes nicely without being too much and pairs great with brighter lips. Here is an overall look with Urban Decay Moondust Eyeshadow Diamond Dog. 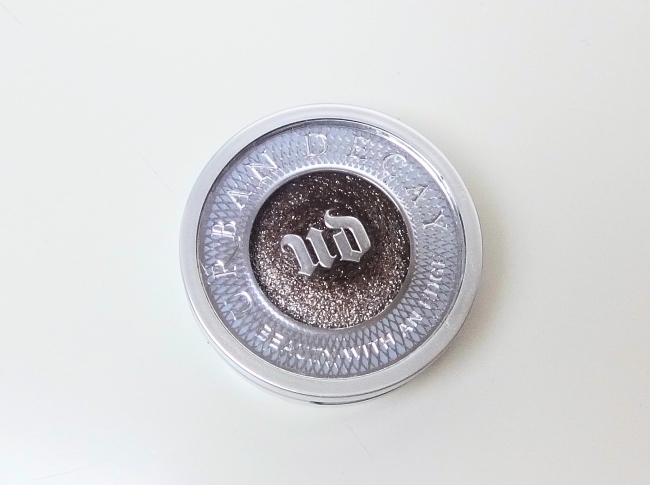 Urban Decay Diamond Dog constantly fetches me compliments, but I must say I love it for the convenience. I know few eyeshadows that does it all like Diamond Dog. 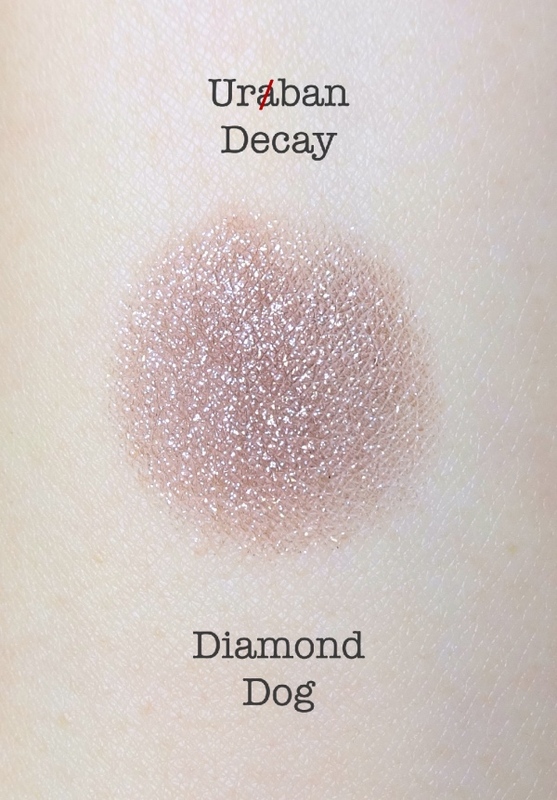 Now, if Urban Decay ever comes up with something called Diamond Cat (may I suggest a warm dusty purple? ), I'd be definitely interested. This is such a gorgeous shade! I can totally see myself wearing this all over the lid or as the inner lid shade! I've been thinking about getting a single from UD but haven't decided which one. It was a nice surprise for me. Take a look at Solstice when you get a chance. It is a beautiful duochrome color. I got solstice for the color (It flashes three distinct colors: pink,purple and teal) last year but I still have to find a way to wear it out...Too much bling for everyday. I wouldn't characterize Solstice an everyday color either but it is beautiful! Probably my next choice if I am to get another one from the range. Thank you, Rowena! :D I can't wait to hear your thoughts on your eyeshadow palette. I usually go for smaller sized ones, but I've been eyeing on something like Huda Beauty Rose Gold palette or Anastasia Modern Renaissance palette. This is SO pretty! Even though I'm aging, I still love a good eyeshadow with some glitter in it-especially if it stays put! This looks gorgeous! sometimes glitter gets in my eyeballs, though, lol, and as a contact wearer, that can be painful. I think a good base is key. For some reason, I've never had that glitter-in-the-eyeballs problem with Diamond Dog. I guess there is no way to know before you buy. I don't mind cheaper eyeshadows as long as they are good, but I'm a little picky for glitters. I hear some of those cheaply made ones have harsh edges which are actually dangerous.